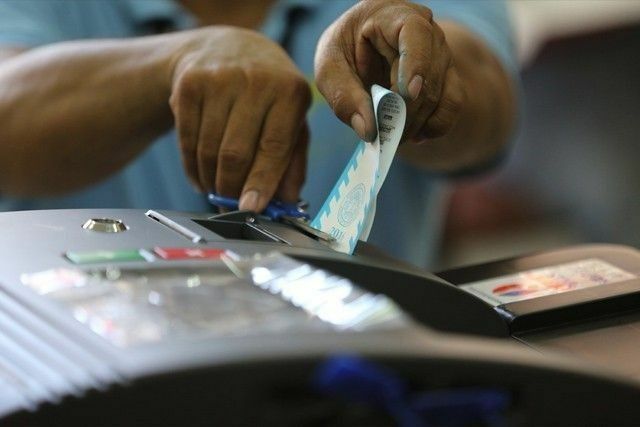 CEBU, Philippines — The Commission on Elections is reshuffling all election officers in Cebu, including Cebu City election officials, starting next week to ensure clean and credible midterm elections come May 13. Effective on Wednesday, March 27, Cebu City North District election officer Marchel Sarno will replace South District election officer Edwin Cadungog, who will assume as acting election officer of Mandaue City. "Gi-reshuffle mi but March 27 pa kay naa paman ta'y ongoing training sa electoral board members. Lisud man kaayo nag-training pa ta, unya mo-transfer na ta (we were reshuffled but the effectivity is on March 27 because we still have an ongoing training of the electoral board members. It is difficult to transfer while we still have the training)," he said. Sarno said they will be back to their regular posts after the midterm elections. There are 54 election officers affected by the revamp. Aside from Sarno and Cadungog, the other election officers affected are Renante Angcos from San Fernando to Tudela; Jose Barriga from Medellin to Sogod; Lito Arquillano from San Francisco to Tudela; Chauncey Boholst from Carcar City to Cebu City 1st district; and Bertha Blaise Camomot from Ginatilan to Samboan. Vivian Canillo from Dalaguete to Alcoy; Alma Cañada from Samboan to Ginatilan; Sandra Cocon from Alegria to Malabuyoc; Elsa Dabon from Tabuelan to Consolacion; Jose Dennie Demecillo from Bantayan to Santa Fe; Gallardo Escobar Jr. from Talisay City to Toledo City; Carla Espina from Bogo City to Medellin; and Honorato Flores from Oslob to Santander.